Land Rover has confirmed that there will be a new Defender in 2015, and it will be bringing a new design concept, which hints at what the new model may look like, to Frankfurt. 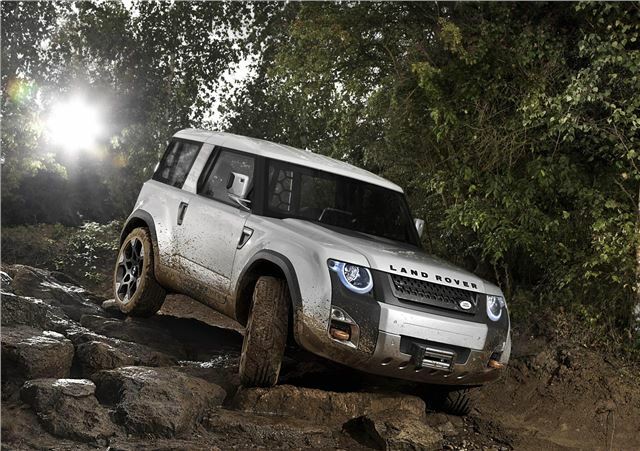 Called the DC100, it’s strictly a concept – as Gerry McGovern, Director of Design for Land Rover, says: “"Replacing the iconic Defender is one of the biggest challenges in the automotive design world; it is a car that inspires people worldwide. This isn't a production-ready concept but the beginning of a four-year journey to design a relevant Defender for the 21st century." Stay tuned to our Frankfurt Motor Show coverage for more information on the Land Rover DC100 concept as it becomes available.